Some authors argue that we have a moral obligation to leave Mars the way it is, even if it does not harbour any life. This claim is usually based on an assumption that Mars has intrinsic value. The problem with this concept is that different authors use it differently. 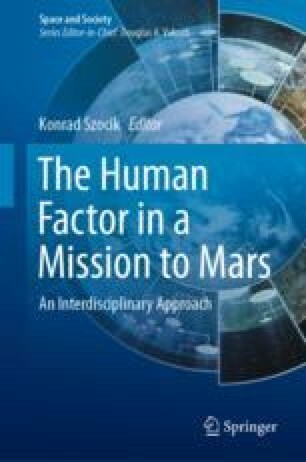 In this chapter, I investigate different ways in which an uninhabited Mars is said to have intrinsic value. First, I investigate whether the planet can have moral standing. I find that this is not a plausible assumption. I then investigate different combinations of objective value and end value. I find that there is no way we can know whether an uninhabited Mars has objective end value and even if it does, this does not seem to imply any moral obligations on us. I then investigate whether an uninhabited Mars can have subjective end value. I conclude that this is very plausible. I also investigate whether an uninhabited Mars can have objective instrumental value in relation to some other, non-Mars related end value. I find also this very plausible. It is also highly plausible, however, that spreading (human or other) life to a presently uninhabited Mars can also have subjective end value, as well as objective instrumental value. I mention shortly two ways of prioritising between these values: (1) The utilitarian method of counting the number of sentient beings who entertain each value and determining the strength of the values to them. (2) Finding a compromise that allows colonisation on parts of the planet while leaving other parts untouched. These methods should be seen as examples, not as an exhaustive list. Also, I do not take a definitive stand in favour of any of the two approaches, though it seems at least prima facie that the second approach may have a better chance of actually leading to a constructive result. The project was funded by The National Aeronautics and Space Administration through grant NNX14AR81G. Bachman, J. (2018). Setting a date for landing humans on Mars Bloomberg. https://www.bloomberg.com/news/articles/2018-05-08/can-humans-get-to-mars-in-12-years. Accessed 26 Sept 2018. Beall, A. (2018). If Elon Musk is to colonise Mars, he’ll need to recruit a crew of genetically-modified humans Wired 03/02/2018. https://www.wired.co.uk/article/elon-musk-mars-colony-spacex-radiation-genetically-modified-humans. Accessed 26 Sept 2018. Brueck, H. (2018). NASA wants to send humans to Mars in the 2030s—here’s the step-by-step timeline Business Insider 01/03/2018. https://www.businessinsider.com/when-will-we-colonize-mars-nasa-timeline-2030s-2018-2?r=US&IR=T&IR=T. Accessed 26 Sept 2018. Connor, N. (2017). Beijing eyes ‘robotic and human settlement’ on Mars with ambitious 2020 mission. The Telegraph. Published 21/09/2017. http://www.telegraph.co.uk/news/2017/09/21/plans-2020-chinese-mars-probe-explore-possibility-human-settlement/. Accessed 23 Sept 2017. Eck, A. (2018). Can we colonize Mars? Nova next. http://www.pbs.org/wgbh/nova/next/space/want-to-live-in-a-treehouse-on-mars/. Accessed 26 Sept 2018. Griffin, A. (2017). SpaceX will colonise Mars in the next few years, says boss Elon Musk. Independent. https://www.independent.co.uk/life-style/gadgets-and-tech/news/spacex-elon-musk-mars-colony-moon-space-rocket-falcon-nasa-australia-a7973546.html. Accessed 26 Sept 2018. Mack, E. (2017). Elon musk has an update on his Mars colony plans. CNET. Published 20/09/2017. https://www.cnet.com/news/elon-musk-spacex-mars-colony-nasa-iac-2017-adelaide/. Accessed 22 Sept 2017. Solon, O. (2018). Elon musk: We must colonise Mars to preserve our species in a third world war. The Guardian 11/03/2018. https://www.theguardian.com/technology/2018/mar/11/elon-musk-colonise-mars-third-world-war. Accessed 26 Sept 2018. Thompson (2018) Is colonizing Mars the most important project in human history? The Atlantic. https://www.theatlantic.com/technology/archive/2018/06/could-colonizing-mars-be-the-most-important-project-in-human-history/564041/. Accessed 26 Sept 2018.